Well maybe I should say #1A. You all know how much I love my throw pillows, but then after that, the thing I can't seem to live without are my trays. I have them in all sizes, finishes and shapes. They come in handy just about anywhere. If you want to clean up an area just corral everything in a try. Or if you want to make a statement then use a tray. I think a tray is one of the most versatile accessories you can own. Let's start with the coffee table trays shall we? I love how a tray grounds a coffee table and allows a lot of items to be on display, but they don't all sprawl all over the table. A stack of books and a pot of ivy is enough for even a big tray. I also like how the straw color of the tray and the light wood candlesticks lighten up the dark table in the room. This gold tray really enhances the gold glam look that I was going for here. Again more books and an ivy together with the gold candle hurricane give the coffee table some glitz. All white is one of my favorite ways to decorate and this tray along with the huge white candlesticks make a big impression on the dark table. I am partial to books on trays (can you tell) but I love a vase of flowers too. Same white tray and candlesticks, same books and ivy and you have a completely different look. In the loft office/girl cave I use a wicker trunk as a coffee table. A light colored round bamboo tray plays well off the wicker. I just added a small horse figurine, a tiny pot of greenery and my wood beads. This gives this small trunk a ton of interest without being crowded. Here we have a really shallow wicker tray on the bottom shelf of the coffee table in the family room. This adds enough presence to the bottom shelf to command interest, but doesn't compete with the top of the table. This big white tray holds some books and adds interest to the bottom shelf without competing with the top of the table. all these are great place to use a tray. You can hold a ton of necessary items neatly and look pretty too. I love this brass one I use in my kitchen too. It holds oils, pasta, tools and salt and pepper handy and ready to use. 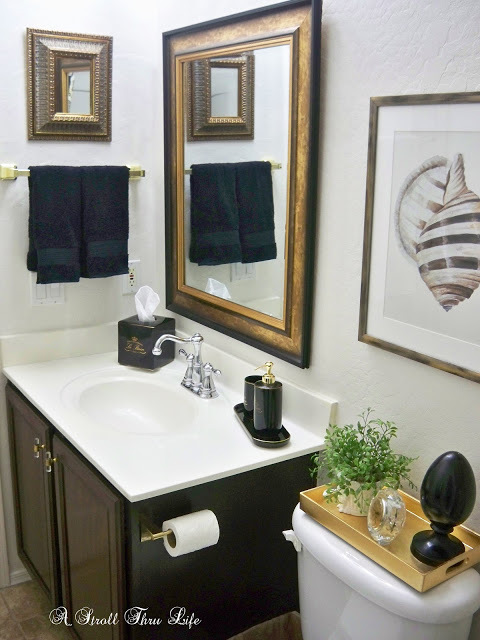 Bathrooms are another place that I love to use trays. This one holds a pretty orchid, some cologne, a candle and a pretty box for my jewelry at night. See how easy it is to change things up with just a little Pink for spring. Even a tiny tray to hold cologne is a pretty addition. I think the toilet tank top is prime real estate for a tray. So do you use a ton of trays all over your house too? I love a good tray too. You have a great variety of them. I'm right there with you! What did we ever do without trays? Now a vignette just looks naked to me without the perfect tray. Hi Marti....great post ! 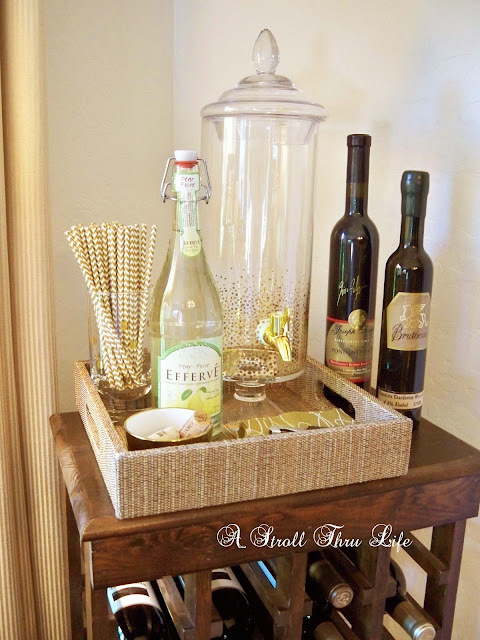 I never used trays until I started following your blog...and now - EVERYWHERE! Love one on my coffee table, dining table, and have basket tray in the kitchen for salt/pepper/oil etc. Always learn something new from you - THANK YOU ! You really have such a terrific sense of style, Marty! Yes, I use trays all over my house also...but I don't swap them out as often as you do! Oh Marty, THANK you for this post! I just realized I have alot more places to use a tray! I also like to use them on the coffee table but now I want to get one for my desk and one for the vanity in our bathroom! Great post! I'm a tray addict, too! :) They're so versatile. You have some wonderful trays Marty. I love to have them too. I only have two stainless trays from... maybe 10 years ago. Gotta buy some beautiful trays like yours. Love the different uses you shared! 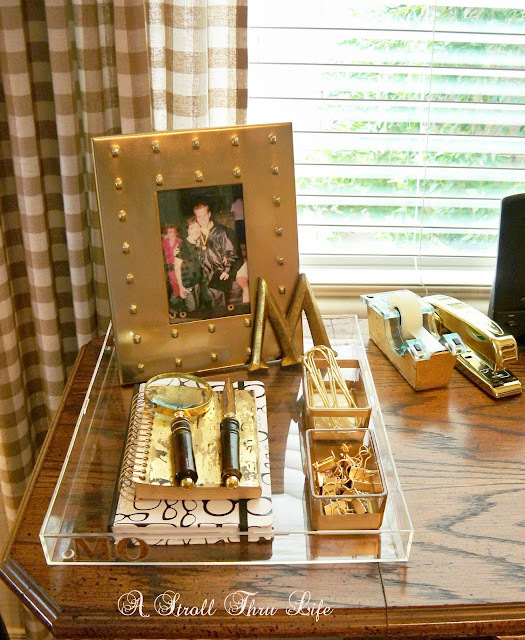 Marty, you're a decor master, and this post proves it! 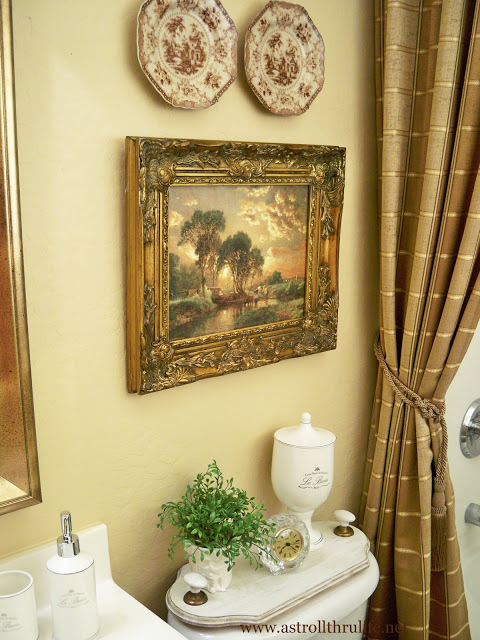 It's amazing to see what a difference trays make in decorating. I love the way you can change the look of things by swapping out a few accessories. By the way, have you ever done a post on where/how you store the items you use in home decor?